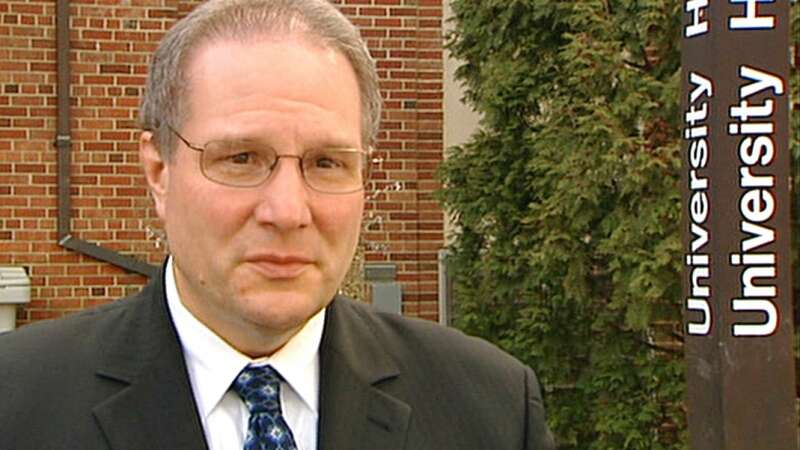 Beleaguered Alberta Health deputy minister Carl Amrhein has resigned. In a statement issued to Alberta Health staff Thursday afternoon, Amrhein announced he is resigning to become provost and vice-president of academics at the Aga Khan University, which is based in Karachi, Pakistan. His last day is Oct. 6, 2017. “Work is underway to recruit a new deputy minister and in the meantime associate deputy minister Andre Tremblay will be acting deputy minister,” Amrhein wrote. The email made no reference to his association with the Pure North S’Energy Foundation. Over the past several months, Amrhein has faced intense scrutiny over his allegedly inappropriate relationship with Pure North S’Energy, a Calgary-based private health foundation with whom he signed a $ 4.2-million grant agreement in October 2016. As CBC News reported, Amrhein participated in Pure North’s alternative-health program while deputy minister and, in his previous role as official administrator of Alberta Health Services, he lobbied Alberta Health for funding for the foundation. But his relationship with the controversial foundation, and its multimillionaire founder Allan Markin, went back even further. In 2012 and 2014, while Amrhein was provost of the University of Alberta, he provided endorsements of the Pure North program. The foundation twice used a letter of support from Amrhein to bolster funding requests to the Alberta government. For months, both Amrhein and Health Minister Sarah Hoffman have refused to answer repeated questions about Amrhein’s relationship with Pure North and Markin. Amrhein declined to speak with a CBC reporter who approached as he both entered and left a meeting of the all-party public accounts committee on Thursday. During the meeting, Amrhein declined to answer questions about Pure North directed to him by United Conservative Party health critic Tany Yao. At one point, Yao directly asked Amrhein if he would resign. Amrhein did not answer the question and the committee chair ruled it was out of order. After Amrhein’s resignation became public, Yao said that “after all the ethical questions surrounding Mr. Amrhein’s tenure as deputy minister of health, quite frankly it’s a relief to see that he has resigned today. “I have repeatedly questioned Mr. Amrhein’s objectivity and ability as deputy minister given his role in the Pure North scandal, as well as the problems within his own office. In May, the Opposition Wildrose formally asked Alberta’s ethics commissioner to investigate. The ethics commissioner’s office said that, by law, it cannot confirm or deny if an investigation is being conducted. But in a previous interview, ethics commissioner Marguerite Trussler told CBC News that when Amrhein became deputy minister in August 2015, he disclosed to her office that he was a participant in Pure North’s alternative health program. Trussler refused to say whether Amrhein had disclosed anything more about his relationship with the health foundation, saying she was bound by provincial legislation and only had permission from Amrhein to reveal he had disclosed his participation in Pure North’s health program. The commissioner said she questioned Amrhein about his signing of the $ 4.2-million grant, money that funded a three-year nurse-practitioner clinic operated by the foundation. Trussler said Amrhein told her the decision was made elsewhere and he merely signed the agreement in his capacity as deputy minister, after Hoffman had signed off. In July, Alberta Health cancelled the remainder of its grant with Pure North – more than $ 3 million – after CBC News revealed its new nurse-practitioner clinic had twice prescribed high-dose vitamin D to a 74-year-old patient. Hoffman and the ministry had repeatedly insisted that under the grant agreement, Pure North was not allowed to offer any of its alternative treatments, such as high-dose vitamin D, at the clinic. Pure North spokesperson Stephen Carter initially denied — three times — that its nurse-practitioner clinic offered any supplements. But when told CBC News had proof a patient had been prescribed vitamin D, he said providing supplements like high-dose vitamin D was within the scope of the clinic’s nurse practitioners. Carter later called the ministry’s cancellation of the clinic’s funding an “immature decision” that did not take Albertans’ health into consideration. Following a request from Liberal MLA Dr. David Swann, the $ 4.2-million grant is also currently being audited by Alberta’s auditor general as part of a larger review into how Alberta Health approves grants. To date, the auditor general has not confirmed whether his office will conduct a separate performance audit to determine if the $ 4.2-million grant Amrhein signed provided value for public money spent. As part of his review, the auditor general will also examine a controversial $ 10-million grant agreement Alberta Health signed with Pure North in December 2013. As CBC News reported earlier this year, the ministry gave the foundation the money to expand its seniors program, against the advice of ministry officials who determined the Pure North program was not adequately supported by science, could not prove the health and economic benefits it claimed, and may cause adverse reactions in participants. Documents obtained through freedom of information also showed that six days before the ministry signed the grant agreement, the rationale for the funding was inexplicably changed from a research project to simply an expansion of Pure North’s program. The change meant there was no ethical oversight of the program. Alberta Health has not explained the abrupt change in purpose for the funding. Despite the concerns of health officials, Pure North has repeatedly said its program is safe and effective, and backed by credible research. Amrhein’s two-year tenure as deputy minister was marred by poor morale problems within his office. A 2016 internal Alberta Health survey revealed that by nearly every measure of staff engagement and job satisfaction, employees in Amrhein’s office ranked their workplace lowest among nine health divisions whose survey results were reported in detail. The survey results showed staff in Amrhein’s office largely felt they were not treated respectfully, did not receive recognition for good work, and were dissatisfied or, at best, ambivalent with their leadership.